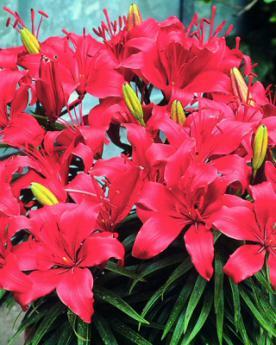 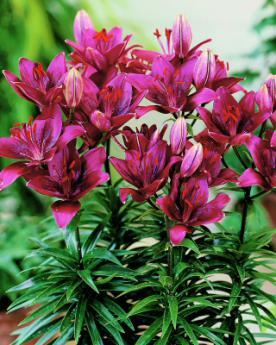 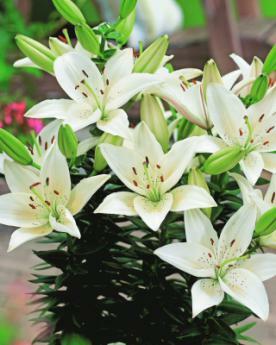 Asiatic Patio Lilies are a dwarf strain of Asiatic Hybrids which are ideal for planting in containers on the patio. 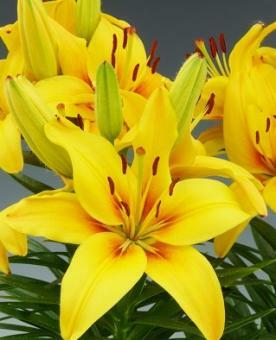 They are of sturdy habit and do not require any support. 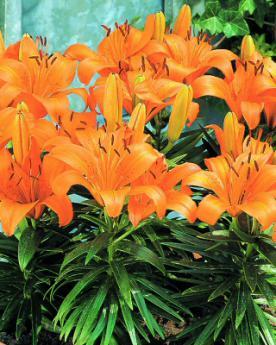 Ideal for very exposed gardens.